At Hï Ibiza, Sunday, from 26 May to 6 Oct. Grab the sequin dress, wig and make-up and Pump Up the Boogie. It's disco time. For a party that embodies the quintessential spirit of 21st-century queer disco, look no further. 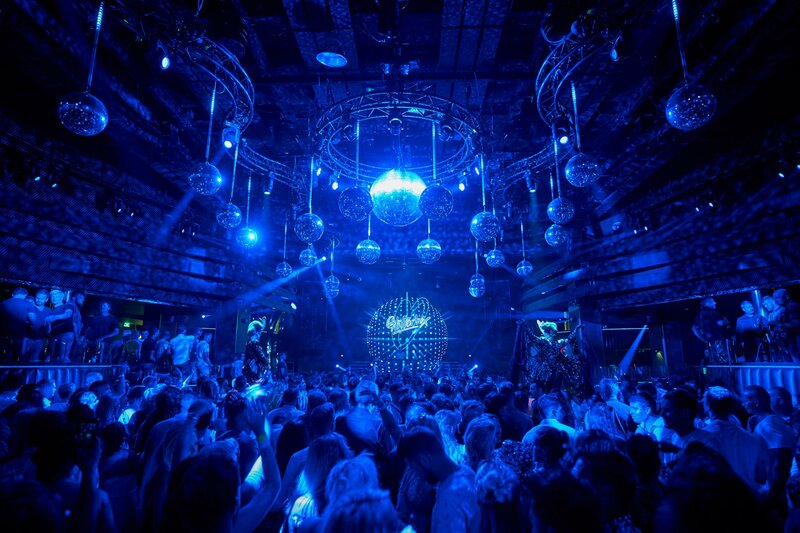 This flamboyant extravaganza Glitterbox gives a whole new meaning to dance music for the mind, body and soul, turning the already sparkling Hï Ibiza into the ultimate spectacular. With star-studded line-ups and dazzling performers in a galaxy of spangles and sequins, this party throws out more energy than ever creating a crowd with ear-to-ear grins and their hands in the air. The brainchild of Defected head honcho, Simon Dunmore, Glitterbox filled a gap on Ibiza back in 2014, harking back to the multicoloured exuberance of the 80s and 90s. The ultimate fiesta in terms of sassiness and extravagant glamour, the party has since then taken the island by storm. On top of the eccentric dance troupes, awe-inspiring production and electric vibe, a selection of the most revered DJs brings a musical selection loaded with reimagined house and disco gems. Taking the middle ground between techno and EDM, the party's musical ethos extends beyond disco with classic uplifting house, fresh disco cuts and dance-floor gems across the board. An eclectic mix of veteran artists and fresh talent delivers the soundtrack. This year's roster includes superstar names like Armand Van Helden, Basement Jaxx, Derrick Carter, Dimitri From Paris, DJ Harvey, Horse Meat Disco, Masters At Work, Nightmares On Wax, Purple Disco Machine, Roger Sanchez, Honey Dijon and many others stepping up to the DJ booth. As well as DJ Icons, Glitterbox brings together Disco figureheads from around the world. DJs such as Crazy P, Dan Shake, Eli Escobar, Greg Wilson, Late Night Tuff Guy, Mighty Mouse, Yuksek, Smokin Jo and others will bring a unique flavour to the dancefloor. To top this all off the party has a few Live performances which will dazzle audiences. Barbara Tucker, Fiorious, Julie McKnight, Kathy Sledge and Teni Tinks take to the stage over the summer. The shimmering party takes over Sundays at the glamorous Playa d'en Bossa super-club, running for 20 sparkling weeks from 26 May to 6 October. Summer 2019 is especially poignant for the Glitterbox/Defected camp as they celebrate being two decades young. Expect some extra razzle dazzle like never before and, of course, get ready to throw that glitter. See below for regularly updated line-up details and tickets. Fancy a taste of the music? Check out the video of last year's opening party below followed by the tunes that most recently defined Glitterbox below.